Finally, a film quiz to sort out which movie podcast knows their Tarantino's from their Rodriguez, their Hughes from their Crowe and so on! We are a podcast where other film/movie podcasts come on to battle it out, 1-on-1, in a knockout style tournament. Who will win? You'll need to listen in to find out! Well, it's finally here! The podcast that possibly some of you have been asking for for a long, long time! 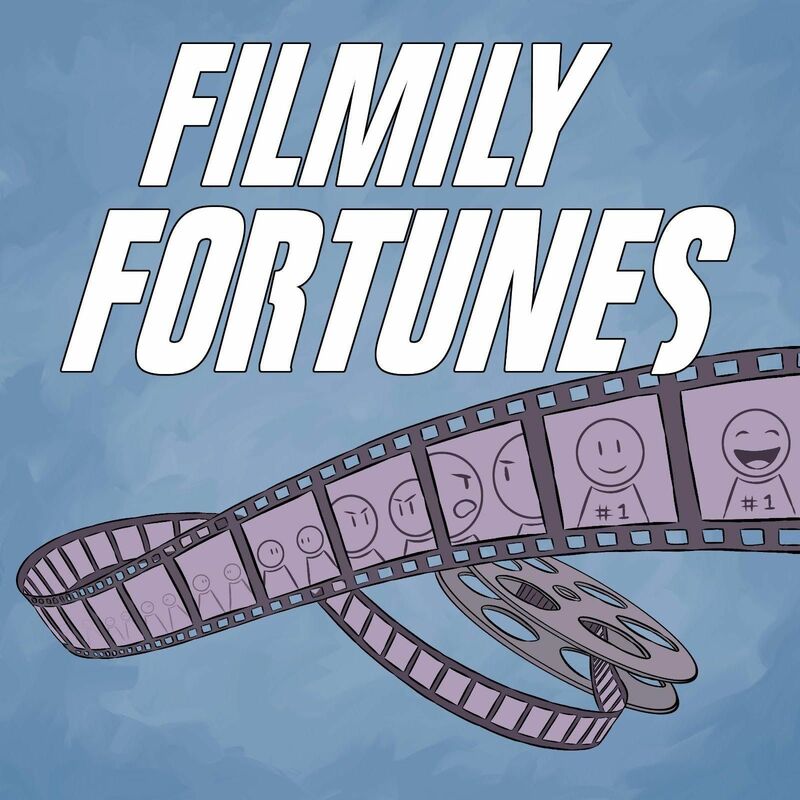 This IS Filmily Fortunes and we are here to entertain you! Each month, we will be releasing an episode where two podcasts go head to head in a film trivia quiz until one is left standing victorious! And then, we will start all over again! In the first episode of Filmily Fortunes, the Pauls at One Good Thing face off against The Vern at Cinema Recall. Who will prevail when faced with questions about Christopher Nolan, Quentin Tarantino, Shakespearean Rom-Coms, naughty cult movies, and the very best Steven Speilberg film? Can you do better than the teams? We look forward to hearing from you! If you have any questions about participating, about what the hell we're doing or wish to submit questions/quotes/bad film descriptions, please do! You never know, it might end up in the show! S1 Finale: We Watch Anything Vs One Good Thing!